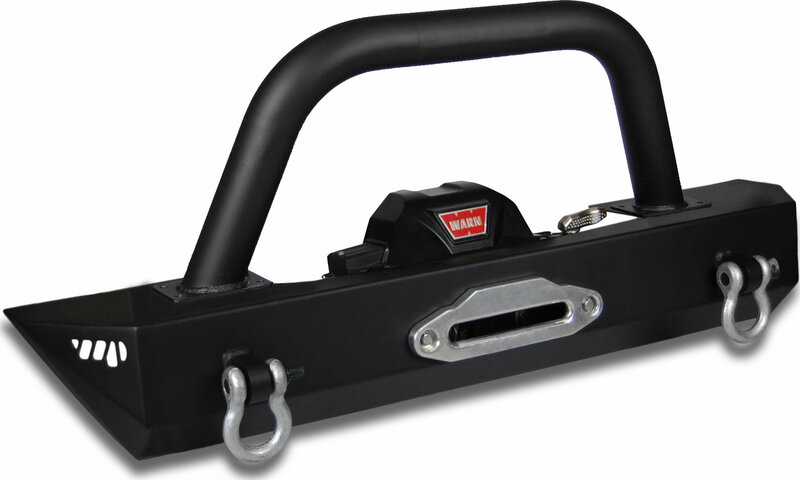 Warrior Products heavy-duty Rock Crawler Bumpers are designed for the off-road enthusiast who wants rugged construction, and a rounded underside to provide greater entry and exit clearance. Constructed from high quality steel, bumpers are black powder-coated for lasting durability and good looks. The Brush Guard is a one-piece welded guard that is formed from 1 ½ round steel tubing, and provides protection from shrubbery when off-roading to the front grill and headlights.